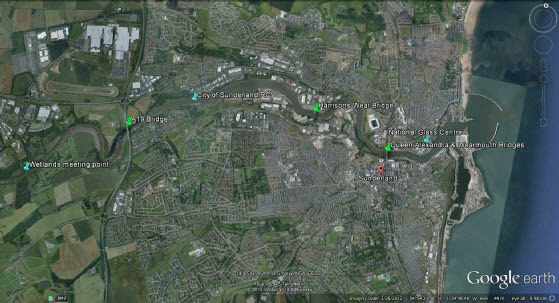 Entries were welcome in stable coxed boats for a 20 km rowing tour on the River Wear, leaving from City of Sunderland RC and going both upstream and downstream. The cost was £8.50 per seat (including coxes) and will cover food and drink at the finish. 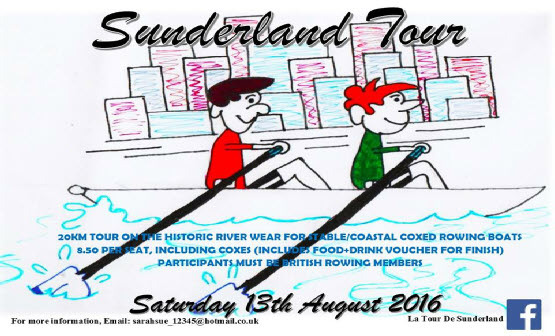 All participants must be British Rowing members. Email Sarah Hodges (sarahsue_12345@hotmail.co.uk) for more info or an entry form. Entries should be submitted no later than a week before.